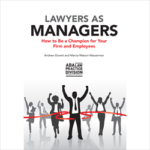 Marcia Watson Wasserman is a published author and co-author of the 2017 book, Lawyers as Managers: How to Be a Champion for Your Firm and Employees (ABA 2017). She is a Fellow in the College of Law Practice Management, one of an elite number of consultants who have earned this honor. Marcia serves as Associate Editor on Law Practice magazine’s editorial board and is a member of the Publishing Board of the ABA’s Law Practice Division. Additionally, Marcia frequently presents law practice management topics for legal and business conferences while also contributing articles on law practice management to leading legal publications. 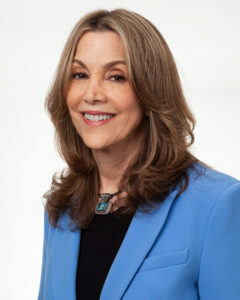 Prior to founding Comprehensive Management Solutions, Inc. in Los Angeles, Marcia served for over 15 years as Chief Operating Officer and Executive Director for several national and local law firms, including an AmLaw 200 firm. Earlier in her career, she served as Director of Law Firm Services and Director of Client Advisory Services for two, mid-sized CPA firms in Southern California.